Sangria is a drink commonly served in Spain and Portugal. It traditionally consists of red wine, chopped fruit, a sweetener and a bit of brandy. The word “sangria” is derived from the Spanish word “blood” due to its dark red color. 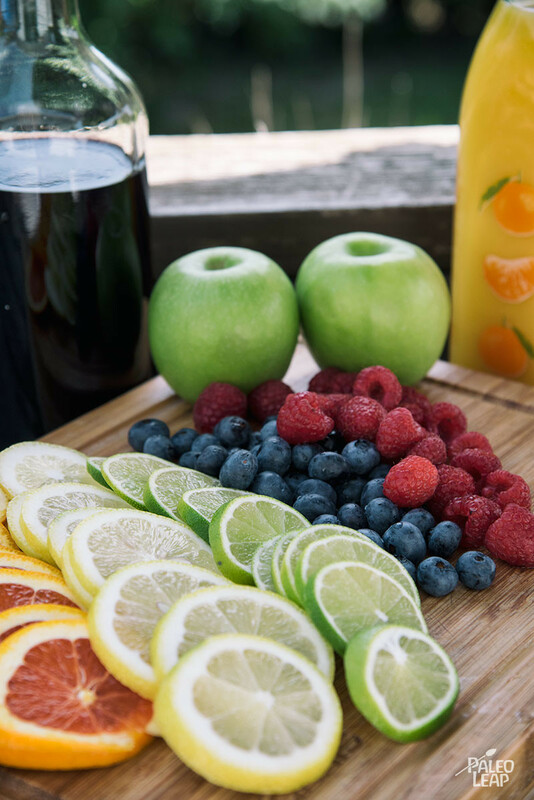 While traditional sangria is sweetened with something like sugar or honey, this recipe uses fruit to find it’s natural sweetness. 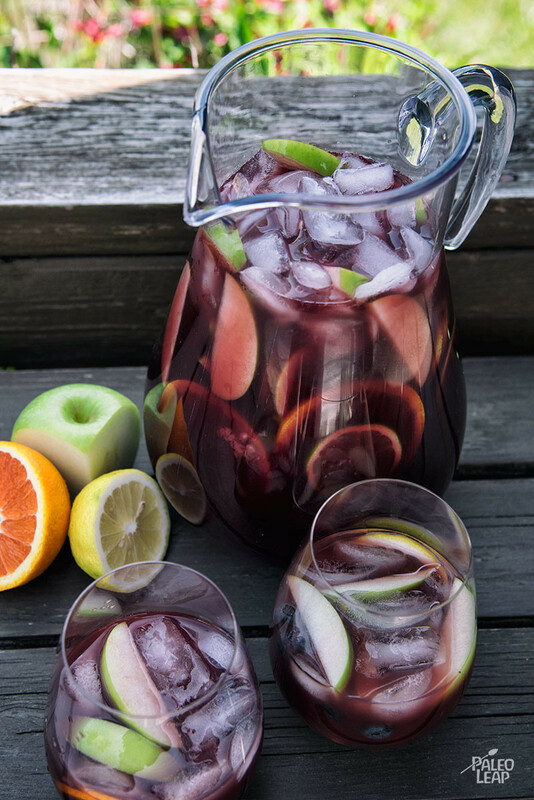 A large pitcher of sangria would make for a refreshing, fruity wine punch to serve on a hot summer day with friends, or at a backyard BBQ. The vibrantly colored pitcher will not only attract your guests to the beautiful drink, but allow them to serve themselves! To make sangria non-alcoholic and friendly for kids, you can replace the bottle of red wine with 3 cups grape juice. 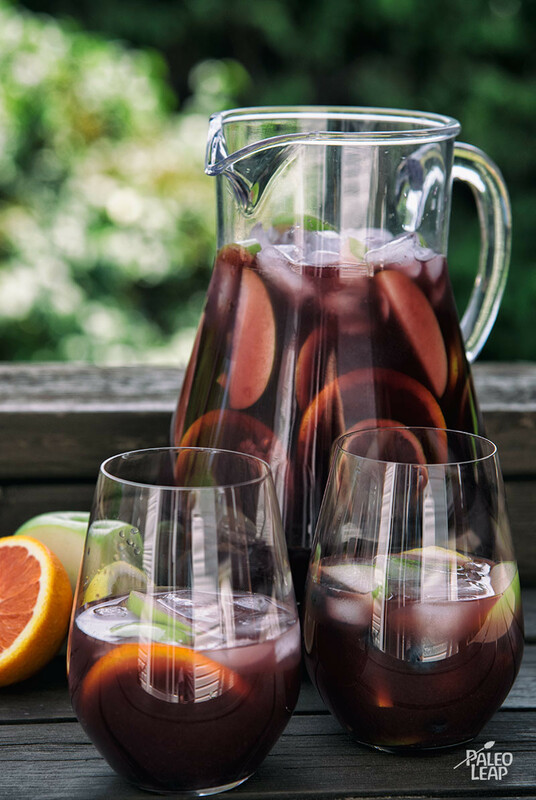 Since this sangria recipe is made without sugar, you can choose to use a fruitier tasting wine for added sweetness. You can serve immediately, or store in the fridge and serve later in the afternoon. Place all the fruit at the bottom of a large pitcher. Pour in all the remaining liquids. Fill the pitcher with ice cubes, give it a gentle stir, and serve.